I read this article and found it very interesting, thought it might be something for you. The article is called Indian Summers Could Last 8 Months By 2070, If Global Warming Continues and is located at https://archive.indiaspend.com/cover-story/indian-summers-could-last-8-months-by-2070-if-global-warming-continues-85534. Prolonged heat-wave conditions–in other words, a summer lasting up to eight months–could be the new norm by the 2070s for the Gangetic plains, if greenhouse-gas emissions are not cut to limit the global temperature increase to 2°C, according to a new study in the journal Environmental Research Letters. The world is getting not only hotter but also more humid. The combined scientific measure of heat and humidity is called “wet-bulb temperature”, which hardly ever crossed 32°C between 1985 and 2005. The nature of such heat waves has since changed because of rapidly growing greenhouse gas emissions, exacerbating climate change. In the Gangetic plain, one of the world’s most climate sensitive regions, wet-bulb temperatures currently touch 31°C, on average, one day every year. By the 2070s, these heat waves may become 100 to 250 times more frequent, said the study. Using a suite of 18 climate models, two emissions scenarios, and five population-growth scenarios, Ethan Coffel, 27, a final year doctoral student at Columbia University, and two other scientists, also estimated the possibility of the wet-bulb temperature approaching or exceeding 35°C, the theoretical human heat tolerance limit by then. So, will wet-bulb temperatures rise enough to imperil human life? 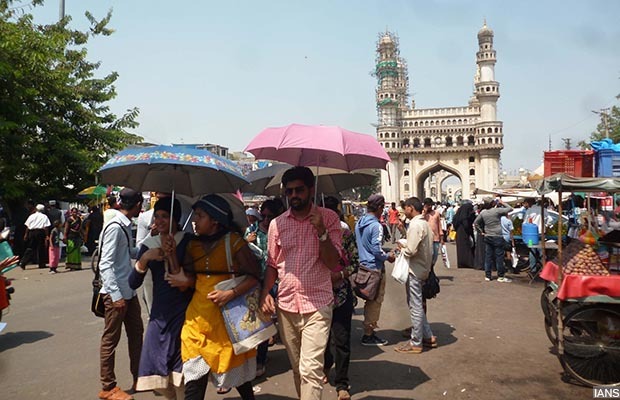 “Our emissions trajectory is likely to determine whether such extreme heat occurs this century,” Coffel, the lead author of the study, told IndiaSpend. “But if it does occur, it will likely be in India, the Middle East, the Amazon, and parts of eastern China.” This temperature rise, he said, is “one of the most serious threats to our society”. The poor, those with outdoor jobs, cardiovascular and respiratory conditions are likely to be the most vulnerable. High temperatures could even give rise to new diseases–as already evident in part of South America–and threaten agriculture, which currently employs 228 million people or 48.8% of India’s working population. What could exacerbate the situation is the finding that in some of those areas, by then, the dry bulb temperature–a measure of air temperature alone–is expected to hit the average of the single hottest temperature each year between 1985 and 2005, anywhere between 50 and 125 times annually, as against once per year currently. Coffel has a BA in computer science & integrated science from Northwestern University, USA, an MA in atmospheric science from Columbia University, USA, and expects to receive his doctoral degree in atmospheric science also from Columbia University in May 2018. 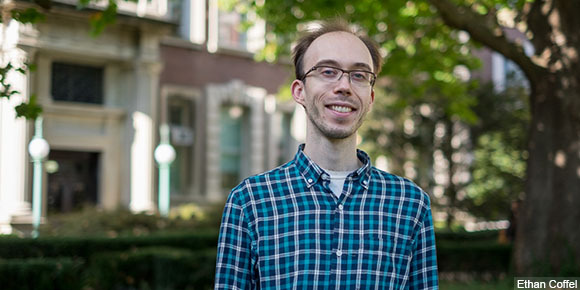 “Climate change is a problem that’s both scientifically interesting and societally urgent,” said Ethan Coffel, 27, a final year doctoral student at Columbia University. Wet-bulb temperature depends on both air temperature and humidity. Will climate change cause both to rise? If so, how much rise did you estimate? We found that by the 2070s, on the days with the highest wet-bulb temperatures, specific humidity would have increased between 10% and 15% relative to high wet-bulb temperature days in the historical period, across all the four susceptible regions: India, eastern US, West Africa and China. However, increases in temperature on the days with the highest wet-bulb temperatures will range from 1°C to 2°C in India to 3°C to 4°C in the eastern US, West Africa, and eastern China. These are still early days for climate change research into lethal high temperature and humidity conditions. In 2010, we were first told that wet-bulb temperatures exceeding 35°C, the upper limit on human survivability, “would begin to occur with global-mean warming of about 7°C, calling the habitability of some regions into question”, to quote this study published in the journal Proceedings of the National Academy of Sciences of the United States of America. In August 2017, this study in Science Advances told us that cutting emissions would restrict wet-bulb temperatures to around 30°C in the late 21st century, while inaction would cause the wet-bulb temperature to approach and in some cases exceed 35°C across most of South Asia. How does your study add to this body of knowledge? Our study is the first global estimate of population exposure to wet-bulb temperatures that approach or exceed 35°C, the theoretical human heat tolerance limit. We estimate that by the 2070s the annual exposure to wet-bulb temperatures of at least 32°C, that is, a wet-bulb just above what is seen in today’s most severe heat waves, may increase five to ten times relative to 2020, depending on the trajectory that emissions take in the interim period. In the worse case scenario, the exposure will touch around 750 million person days. Also, the chance of a wet-bulb temperature above 34°C occurring in India, China, and the Amazon is greater than 33% and the chance of a wet-bulb temperature above 35°C occurring in those same areas is greater than 15%. Since those areas are very densely populated, the annual exposure to wet-bulb temperatures of 35°C or higher could be approximately one million person-days. If efforts are made to contain emissions, the exposure to wet-bulbs in the vicinity of 32°C will be limited to 250 million person days while the exposure to the extreme 35°C threshold will be entirely eliminated. This high population exposure is the outcome of our projection that the tropics and mid-latitudes could experience 100-250 days per year that exceed the historical once-per-year maximum wet-bulb temperature, a measure of the highest commonly experienced heat conditions in the current climate. Those areas could experience 50-125 days per year when dry bulb temperatures exceed the historical once-per-year maximum. This represents a dramatic shift in climatic norms in the tropics and sub-tropics, to where half or more of the year is hotter than the highest levels of heat that occur now. Other regions within 30° latitude of the equator may experience between 25 and 250 days per year that exceed historical once-per-year maximum wet-bulb temperature, and between 25 and 150 days per year that exceed the historical once-per-year maximum air temperature. In the mid-latitudes, these numbers are somewhat lower at between 25 and 40 days per year for both air and wet-bulb temperature. Global carbon dioxide (CO2) emissions have grown exponentially in the last half century, from 3.36 metric tons per capita in 1964 to 4.972 metric tons per capita in 2014, according to the World Bank. Total emissions are up 60% from emissions in 1990, the reference year in the Kyoto Protocol. Your study predicts that if this exponential growth continues, widespread areas will experience wet-bulb temperatures higher than 32°C. However, if emissions are reduced extremely rapidly–and significantly beyond the Paris commitments–such that the global temperature increase is limited to 2°C, only small geographical areas, mostly in India and the Amazon, will experience wet-bulbs higher than 32°C. That sounds like India is doomed irrespective of the trend that emissions take? India currently experiences 31°C wet-bulb temperatures fairly regularly, and even modest climate change will push wet-bulbs above 32°C. So yes, India is very likely to experience 32°C wet-bulb temperatures in the future. The big question we looked at is whether wet-bulb temperatures are likely to approach 35°C, the theoretical limit for human tolerance. Our emissions trajectory is likely to determine whether such extreme heat occurs this century. But if it does occur, it will likely be in India, the Middle East, the Amazon, and parts of eastern China. Wet-bulb temperature has a history of use in the military, athletics, and workplace safety. Based on your study, would you agree that if greenhouse gas emissions are not cut, we would approach a time when every human outdoor activity would be impacted by the wet-bulb temperature? Say even going to school and mundane shopping trips? Yes. In much of the tropics and mid-latitudes, in summer, heat will become increasingly problematic for all outside activities on the hottest days. Who are the people most likely to suffer from exposure to high wet-bulb temperature exposure, and how might they suffer? Heat-adaptation strategies such as heat wave early warning systems, public-education campaigns on the dangers of heat, and social check-ups for vulnerable people have mostly been tested in high income countries and cities where they have helped to drastically reduce the death toll on hot days. However, people working outdoors with no access to air conditioning are likely to be much more vulnerable to lower productivity, heat stroke and in the worse case, to death caused by heat. I would imagine that many of India’s poorest farmers would fall in this category. In addition, any existing health problems, especially cardiovascular and respiratory conditions, make heat illness more likely. People without access to safe water will be particularly at risk of rapid dehydration in extreme heat waves. Agricultural workers in Central America have already begun to experience a rare and sometimes fatal kidney disease linked to heat and dehydration, and this and other conditions could become common around the world in the future. We don’t break down exposure by socioeconomic status, but the poor are included in our estimates. Excessive heat would also damage agriculture, potentially a major concern for India because agriculture dominates your economy.